Mary is a Liberian refugee sent to live with a rich army Colonel. This man offers to make Mary his wealthy concubine. 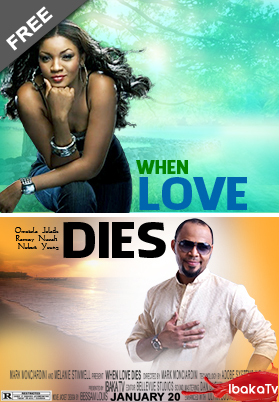 But Mary falls for Daniel, a soulful musician who blew her away one night at the club. She secretly harbours him in the boys quarters of the house that the Colonel bought her but trouble beckons when the Colonel's supposed niece discovers Mary's secret. This is a beautiful and profound love story. 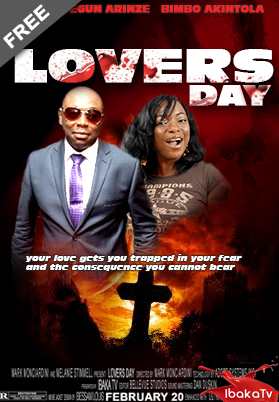 It's on Valentine's Day; February 14th, DJ (Segun Arinze) paints the town "love" as group of people travelled on a public bus for diverse reasons and to different destinations, Love is in the air but danger looms, the unforeseen, the unprecedented, the scary: as they pick on board a mystery passenger on the high way; a serial killer. This intriguing, suspense filled, movie will thrill you till the end credit rolls.